I loved this class ! Thank you so much Kathy for investing your time and encouraging me along the way. I just came in right now from dyeing a few pieces of cloth to use in a quilt :) It is a warm day here in New England with no wind . Thank you for investing your time in me. These are skills I know I will continue to use and share with others. I hope others will enjoy their time learning these skills from you as I have. Thank you for sharing this with the CQI Yahoo group! I just sent my email to sign up and asked the CQI FB group if anyone wants to join me. 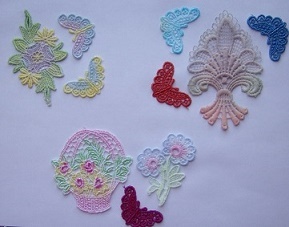 You are so sweet to share this craft with others!